The solid electric was a novel idea in late-50s Britain, but in five years it went from unknown to industry staple. 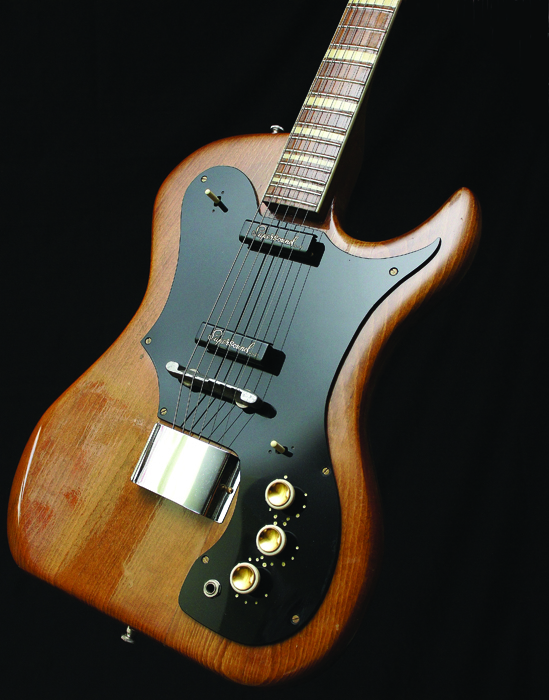 Paul Day charts the evolution of UK guitars between 1958 and 1962. Much has been written about British performers prominent during the post-skiffle/pre-Beatles years from 1958-62, but the UK-made electric guitars and basses that appeared in this pioneering period have enjoyed far less literary attention, so it’s time to set the record straight. To ensure accuracy, corroborative chronological evidence has come from the pages of Melody Maker during that era. This major music weekly gave grudging coverage to the fast growing pop/rock scene, but it also included advertising placed by instrument manufacturers and distributors, while the back was packed with related classified columns and dealer ads. This printed info monitored product developments week by week, providing an accurate guide to what happened and when – unlike the hearsay, hazy recollections and uninformed opinions that all-too frequently pass for fact on the internet. American rock ’n’ roll first hit Britain during the mid-50s, but it was the skiffle craze which followed that inspired countless UK youngsters to pick up a guitar and play. Skiffle music’s popularity peaked in 1956-57, and by the next year the urge to go electric and rock was on the rise, although the proper tools of this all-new trade were very hard to come by in a country still slowly recovering from the physical and financial ravages of World War Two. Even so, demand for electric guitars continued to increase, and although initially this need was met mainly by examples imported from Europe, the commercial potential of offering home-grown opposition soon sparked the start of the British guitar-building business. The next five years subsequently proved to be a hugely formative time in terms of musical evolution and equipment manufacture in the UK. This makes the era arguably as influential as the Beatles-led beat boom that followed in 1963, although it’s often overlooked by those historians quick to credit Britain’s most famous foursome with every influence and advance. 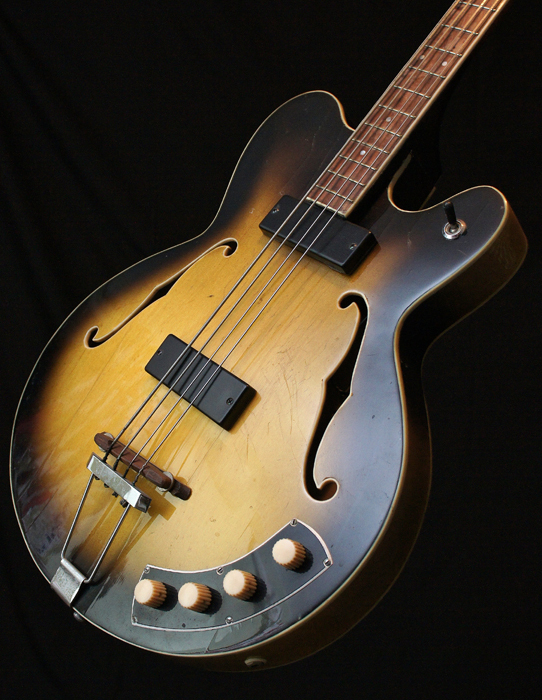 Guitar-wise, the cheapest way to switch from skiffle to rock in 1958 was to slap some sort of simple pickup onto an existing acoustic, while more moneyed players went instead for ready-made electric-acoustics. 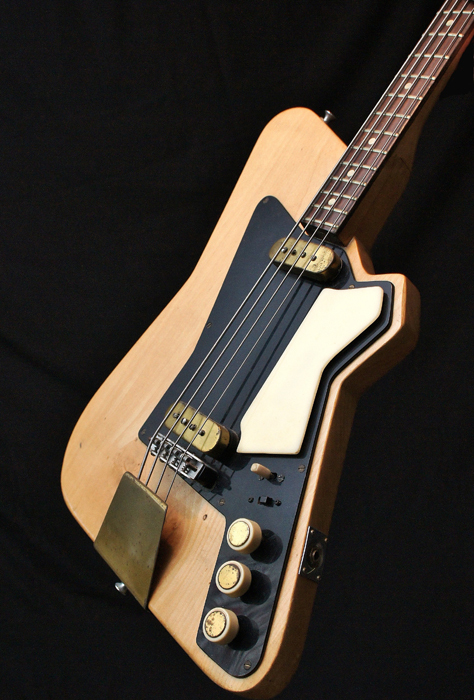 Despite the latter being mostly associated with dance band strummers and staid old jazzers, they offered the only real option, because solidbody six-strings were conspicuous by their virtual absence in this country. Led by Leo Fender, US makers had been mass-producing such guitars since the start of the 50s, but these innovative instruments were almost unknown and unseen on this side of the Atlantic, as Britain’s post-war import embargo on American-made products was still firmly in force. UK distributors therefore had to look elsewhere for readily available, more-affordable equivalents, and by late 1958 solid six-strings had begun arriving from Germany, Czechoslovakia and Japan. Most were comparatively cheap and many weren’t too cheerful, but at least they looked and sounded more like the ‘real thing’. 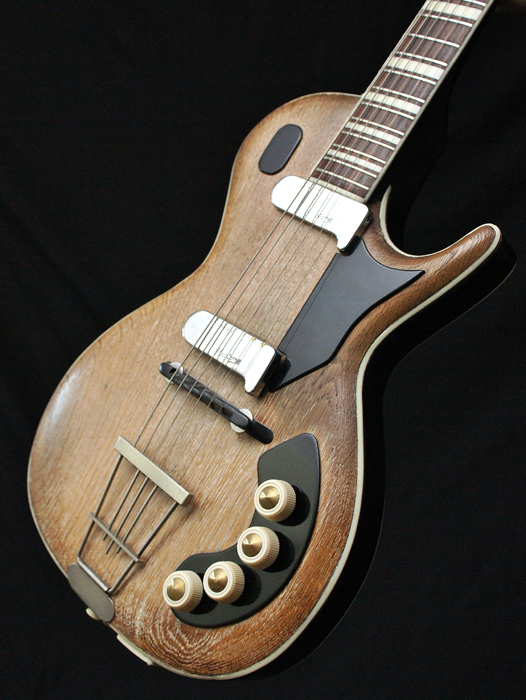 For those players who still preferred their electrics with air inside, British opposition to the likes of Hofner and Framus came from Abbott-Victor and long-established maker Grimshaw. The latter’s stylish S.S. Deluxe debuted in 1957, and soon assumed almost iconic status in the hands of young, rock-orientated performers such as Tony Sheridan, Joe Brown and Bruce Welch. When other UK companies subsequently entered the electric arena, they opted for non-hollow construction, as it was easier and cheaper, but the Britain of 1958 lagged way behind in the solid stakes and the primitive original examples made here were decidedly distant cousins of their already well-established American relatives. 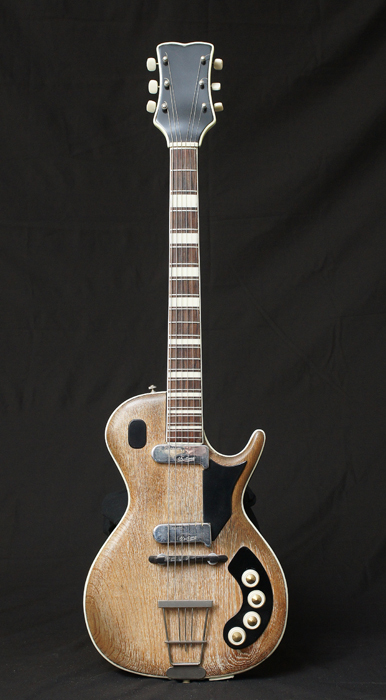 The limited line included the Short Scale Standard and the more curvy Ike Isaacs Short-Scale model, the latter being endorsed by this well-respected British guitarist and intended as a serious, professional six-string. Priced accordingly at £66, it was initially advertised in December 1958, but by then Supersound had already given Burns the bullet and terminated Isaacs’ association, while the company’s pioneering instrument production was temporarily suspended. 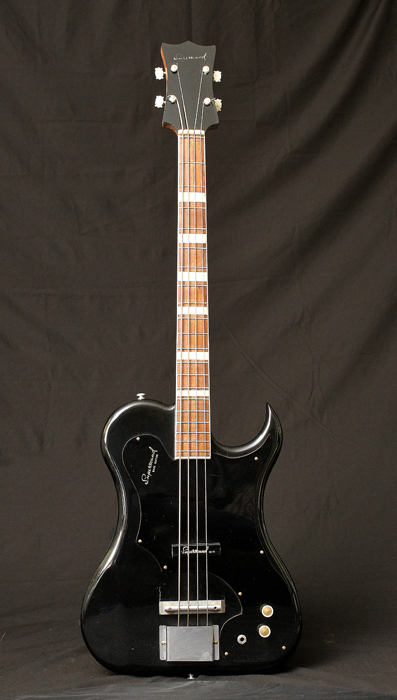 In terms of scope, it was an even sparser story on the four-string front. 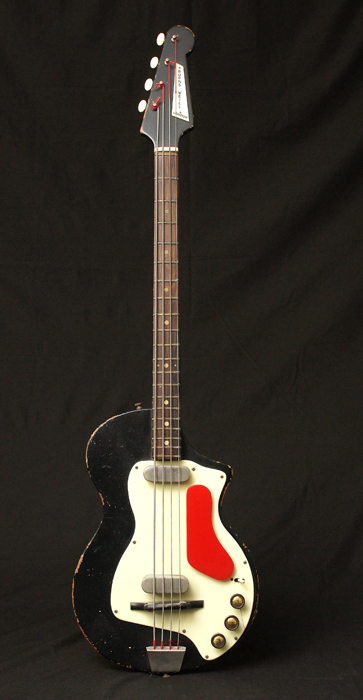 Grimshaw’s S.S. model was the only UK-made bass guitar available to compete with similar acoustic-electrics from Framus and Hofner, but the Supersound/Burns association again proved to be ahead of the game by building Britain’s first solid bass in 1958. Jim Burns continued to construct the Ike Isaacs solid under his own steam during early 1959. However, lacking Supersound’s supply of suitable components, he had to adapt acoustic guitar pickups and parts, before soon finding a fresh electronics ally in the form of another amp maker, Henry Weill. To confirm the partnership, subsequent examples duly boasted the Burns-Weill badge, but by mid-59 this logo was adorning some new solids. 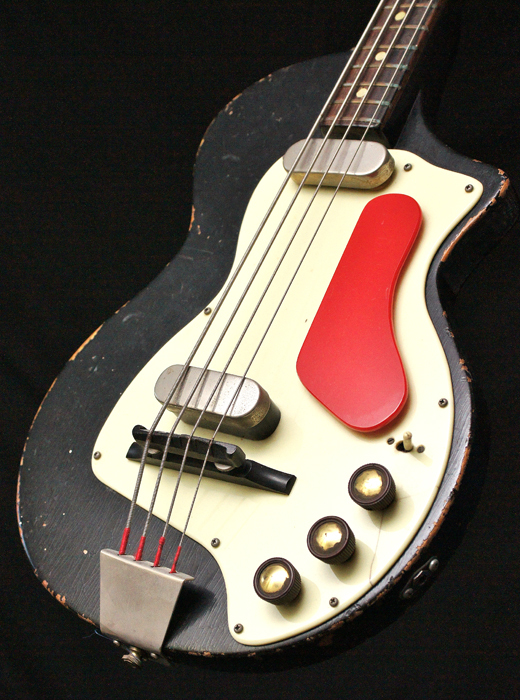 The Fenton closely aped the outline and diminutive dimensions of the best-selling, Japanese-made, Guyatone/Antoria six-strings, first seen here in late ’58, while the more pro-orientated RP Streamline and Super Streamline models (named after session player Roy Plummer) employed very distinctive angular styling. 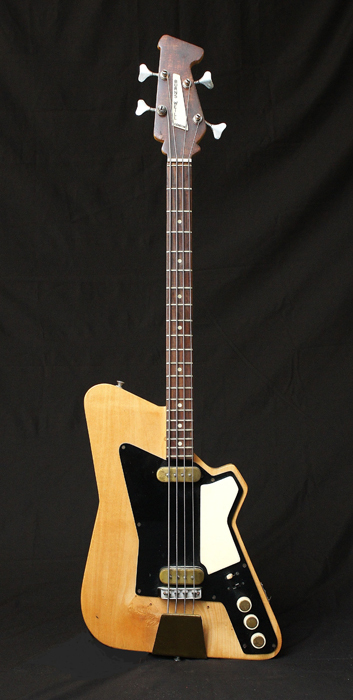 These designs were repeated in four-string form, significantly increasing the choice of solid basses and proving quite popular with players in the process. The British Government officially lifted the ban on US imports in June 1959, paving the way for American electrics to finally start reaching these shores. Although their arrival was obviously welcome, they weren’t plentiful and certainly didn’t come cheap, so most players still had to be content with less-expensive alternatives, and more UK companies accordingly became keen to oblige. 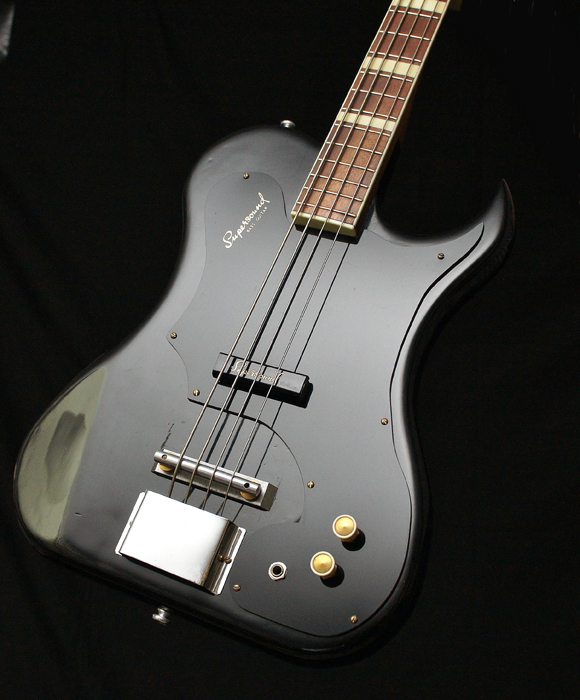 Dallas had launched the Tuxedo six-string three months earlier, this being the first British solidbody aimed at the low-budget beginner. It was appropriately basic, with an acoustic guitar pickup simply screwed onto the body front and controls contained in a similarly top-mounted ‘tin can’, but the £18 asking price guaranteed instant success for this primitive plank. 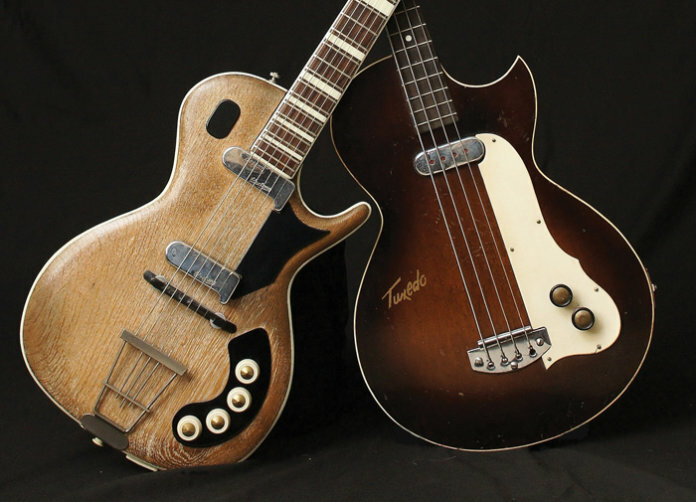 By August, the Tuxedo had been joined by an equally cost-conscious and similarly well-received twin-pickup partner, while Dallas followed this up in November with the Tuxedo bass. The latter finally brought the four-string format to a much more affordable level – and it accordingly enjoyed even greater sales. October 1959 saw another amp maker, Jennings, get in on the electric guitar act via the first Vox solids, although the earliest examples were actually genuine, Japanese-built Guyatones, suitably re-branded by fitting new scratchplates. These were soon superseded by similarly styled, all-UK origin equivalents, but prices stayed low because, like Dallas, Vox quickly realised the commercial value in catering for the entry-level end of the market. 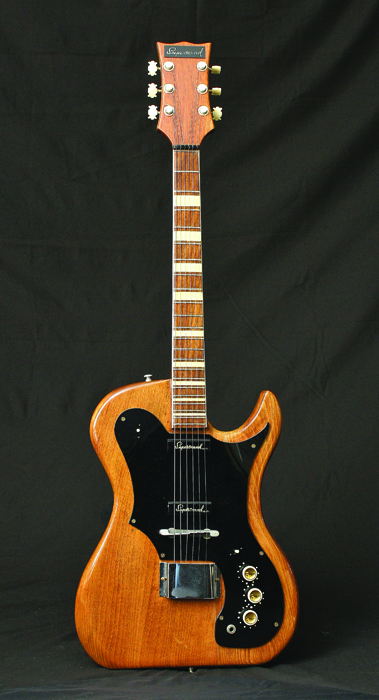 Although remaining firmly in favour of acoustic-electric traditions, Grimshaw succumbed to a stab at the still embryonic solidbody guitar sector with the two-pickup Meteor S.S., launched late in 1959. In contrast to this company’s longevity, the Burns-Weill brand proved to be shortlived, because by the end of the year Jim had already decided to part company with Henry – and instead establish his own Ormston Burns operation. 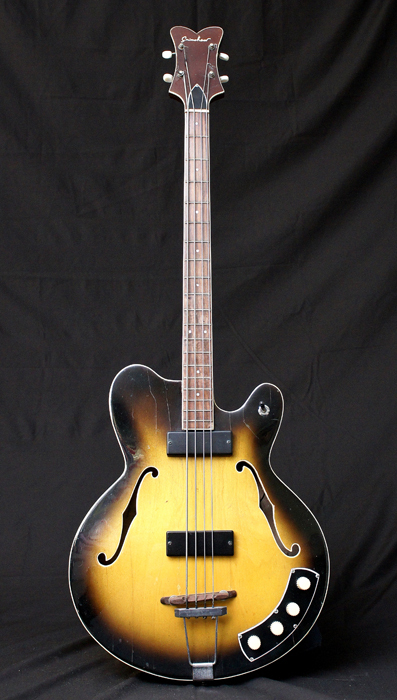 The angular outline of the Burns-Weill RP six- and four-strings soon earned them their ‘Martian Cricket Bat’ nickname! The fledgling firm’s first advert appeared in December 1959, extolling the attributes of the all-new Short Scale De-Luxe Artistes model. This adventurous six-string ably provided a preview of what the next decade would bring for Burns, and the growing number of other English electric guitar makers.